Until what age is the obligation on the father to train his children to do Mitzvot? Who exempted me - Meaning, until now (before 13) a father was punished when his son sins, since he didn't properly mechanech (educate) his son to follow the mitzvos of the Torah. 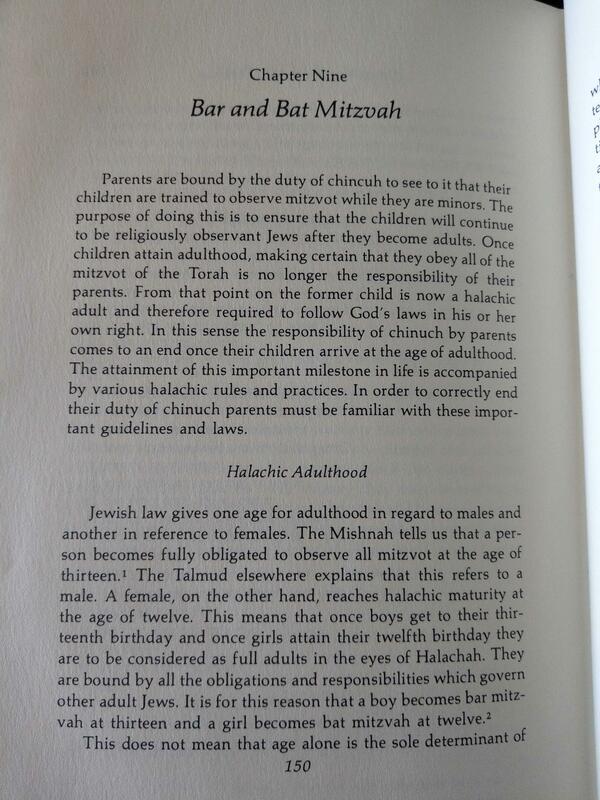 Now that the child is a man, he (himself) is obligated to strengthen his commitment to Hashem's mitzvos. But know, that even though the father no longer has an obligation of chinuch, still, the father is obligated to rebuke his son when he sees him not acting properly. Further, when he doesn't rebuke his son, the father is punished, as he is no worse than anyone else (who is able to rebuke and fails to do so). For it is known what Chazal say, that anyone who can rebuke his household and fails to do so, gets the punishment of his household. And anyone who fails to rebuke his townspeople...etc. So the formal enactment of chinuch designed by Chazal is until 13, but a father is forever responsible for the spiritual well-being of his son, presumably because he is still an authority figure to the son. Not the answer you're looking for? Browse other questions tagged children-parenting chinuch-education age . What age is the kapoteh donned in Chabad circles?